December is a busy time of year. The holidays mean lots of shopping and travel. The cold weather means lots of warm clothes and firing up your home's heating system. So you'd probably think that the top stock to buy this month would be in retail, or perhaps a gas utility. While there may be opportunities in those markets, I'm sizing up a stock in a very different industry: ethanol. It's not obvious, but there's a good reason for investors to check in on ethanol stocks around this time of year -- every year. Better yet, emerging trends in the industry provide additional catalysts for investors looking for value in an expensive stock market. Specifically, Green Plains (Nasdaq: GPRE) is my favorite stock to buy in December because of both near-term and long-term opportunities. Ethanol may not be synonymous with December, but the cold weather actually helps producers post their strongest margins of the year. Why? The giant fermentation tanks that brew ethanol produce a lot of heat during operation. In warmer months, producers have to carefully cool the outside of the tanks with water to keep the temperature of the process within an optimal range. In the colder winter months, the outside air does the trick -- for free. As a result, producers can run their facilities at full tilt with drastically reduced operating expenses. That means the fourth quarter of every year almost always has the best gross margin for ethanol producers. 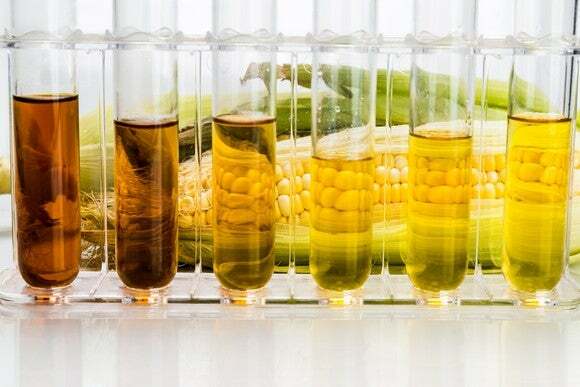 Green Plains, North America's second-largest ethanol manufacturer, has demonstrated this trend in three of the last four years. Since fourth-quarter financial results aren't announced until February or March of the next year, the share price can't respond immediately. However, the general short-term trend has been for Green Plains stock to rise on the release of fourth-quarter results, which sometimes catalyze a longer-lasting run-up, through the middle of the year. 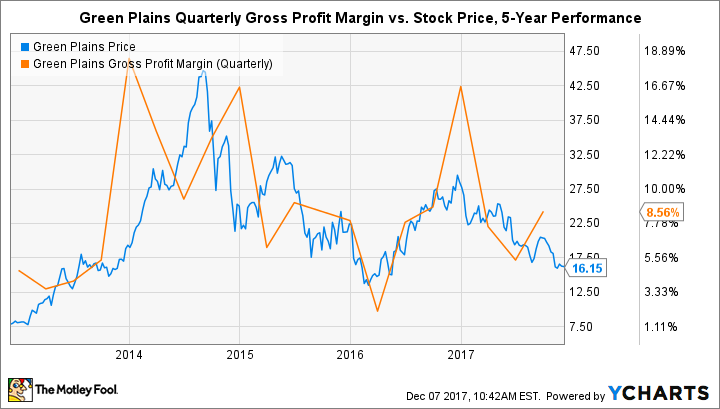 Of course, there are many more factors to consider for an investment other than fourth-quarter gross margin -- especially in the volatile ethanol industry -- and short-term investing is riddled with risks. The chart above is a perfect example. It's been a difficult year for Green Plains (and the ethanol industry at large) after unusually weak second-quarter results caught Wall Street off guard. 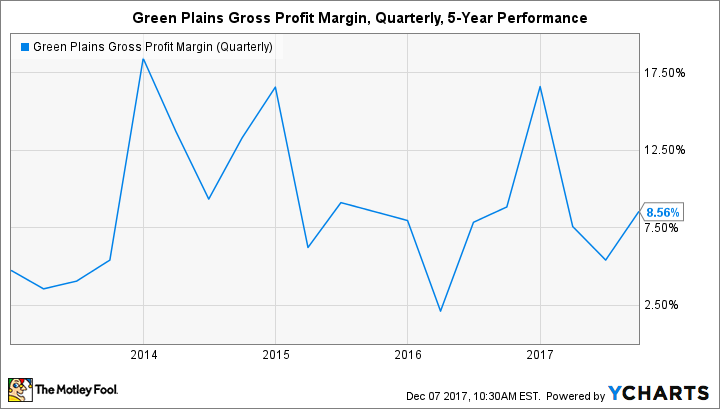 But given that the stock has slid throughout 2017, and knowing that there's a strong chance for fourth-quarter 2017 results to be driven by strong gross margin, Green Plains should pique your interest at the very least. 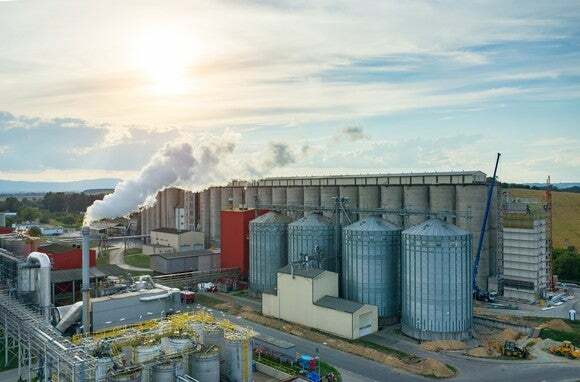 Whether or not now is a good time to buy the stock depends on a broader view of the opportunities and obstacles within the ethanol industry -- and right now there's a lot for investors to like. Ethanol has quietly become one of America's most competitive exports. In 2017 the U.S. is expected to unload a record 1.3 billion gallons onto the rest of the world. It's also the first time the country has exported at least 1 billion gallons in consecutive years. Recent shifts in customer mix hint that exports will remain strong for the foreseeable future. Consider that China and Brazil, two of Uncle Sam's biggest customers, have imposed tariffs on American ethanol in policy moves aimed at spurring their own domestic industries. The former's trading rule went into effect at the beginning of 2017 and, as a result, China will go from importing 200 million gallons of ethanol last year (18% of the export total) to virtually zero this year. Brazil's trading rule went into effect this summer, although nation has continued to import American ethanol since. Yet, the effect of the new tariffs has been almost nonexistent (so far). Why? Other countries have picked up the slack. Most notably, India has emerged as a top destination for American ethanol, having imported 124 million gallons through the first nine months of 2017. The trading relationship is just getting started. Meanwhile, Mexico could soon institute its own renewable-fuel standard, which would create annual ethanol demand of 120 million gallons. And many industry experts think China will fall short of its domestic production goals, meaning it will need to import American ethanol again before the end of the decade. Green Plains certainly seems confident that exports will remain strong for the foreseeable future. As part of a joint venture with Jefferson Energy Companies, the producer has invested in export terminal infrastructure capable of exporting over 100 million gallons of ethanol annually. Phase 1 of the project started up in early December. The first two shipments included a 3-million-gallon bounty destined for Brazil and a 10-million-gallon cargo headed to India. The export terminal is just a start, but it exemplifies Green Plains' growth strategy that includes vertically integrating across its network (from production to exports) and diversification into higher-margin product portfolios. Indeed, North America's second-largest ethanol producer is also the world's largest manufacturer of food-grade vinegar and the country's fourth-largest cattle-feedlot owner. In fact, more EBITDA will be generated from non-ethanol products in 2017 than its 1.2 billion gallons of ethanol production. The growth and continued expansion of the non-ethanol segments will only continue to diversify revenue and earnings and mitigate risk from the historically volatile ethanol industry. However, if current trends in exports hold, then the ethanol industry may find more stability in the years ahead. If that lines up with continued strength in the company's other business segments, then shareholders could enjoy handsome profits and returns in the not-too-distant future. Given the long-term trends in the industry at the moment, I think it's only a matter of time before Mr. Market's affection for ethanol producers -- especially those that are diversified -- picks up. For the company to exploit the pent-up earnings power for its ethanol assets, the country's exports must remain strong, ethanol selling prices must increase, and the nation's capital must hand down more policy certainty. These things are never easy to predict, but Green Plains management has done an excellent job controlling the factors within its control and brushing off volatility to invest in long-term growth. Those efforts should be rewarded eventually, and I think in 2018 investors may begin to see a payoff for their patience.